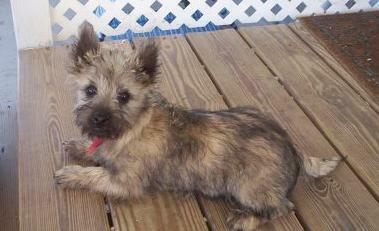 Scrappy to the max, the Cairn Terrier is an affectionate, lively dog wrapped in shaggy fur. While their unkempt coat won’t be winning any fashion awards anytime soon, it is super useful at blocking out nasty weather. 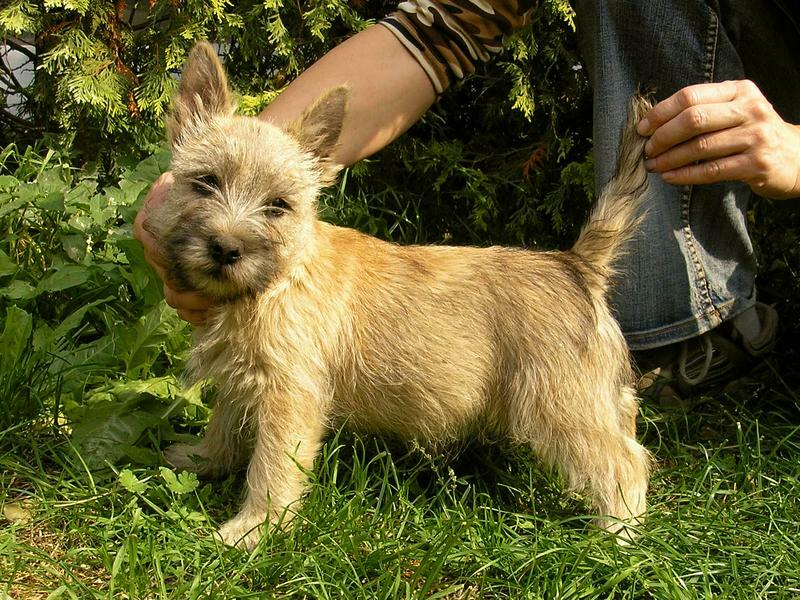 You might find Cairn Terrier puppies with coats that are almost any color under the sun, including cream, red, gray or black. But watch out! 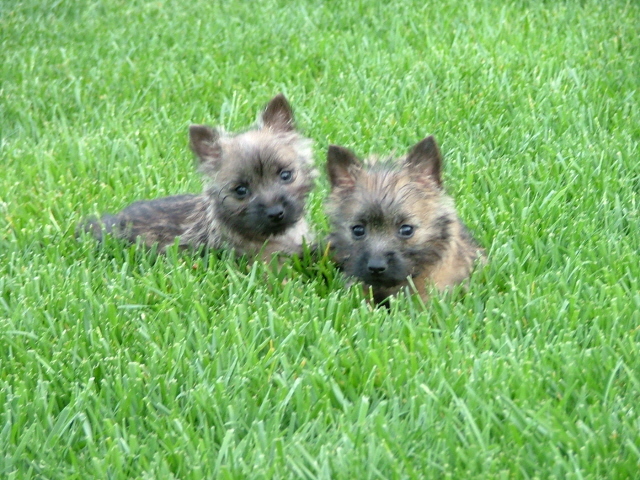 Cairn Terriers change their coat colors over time, the little pranksters. It’s pretty typical for their coat to fade to black or even turn silver. So, the coat you see on the puppy that has captured your heart won’t be the same coat they sport later in life. 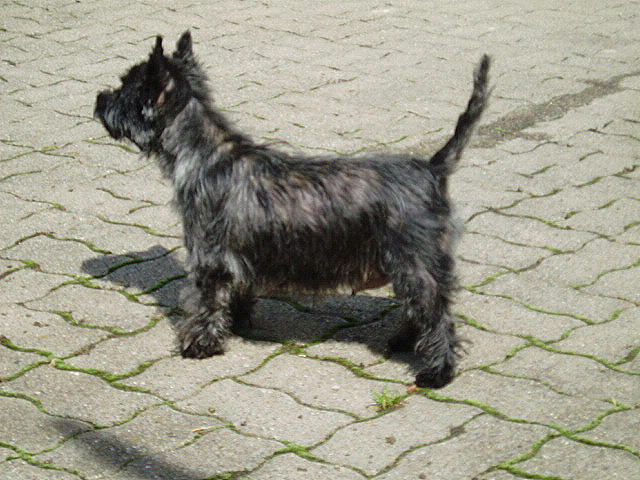 Cairn Terriers have short, wide heads. The jaw is incredibly strong, considering the dog’s smaller size. Their expression is attentive and curious, and their wide-set ears prick up as they focus on different things, such as whatever you're having for lunch. These dogs think of themselves as pretty large and aren’t afraid to show it. While tenacious and scrappy, they are also affectionate and enjoy curling up in your lap ... at least until dinner’s ready. 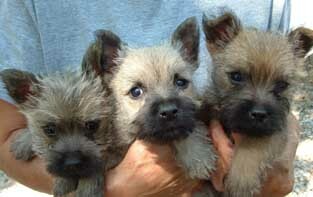 Cairn Terriers are the quintessential busy-body. They always need to have something to do, and if you dont give them a project or trick to learn, theyll find something on their own. Unfortunately, keeping themselves busy usually involves an improvised landscaping of your garden or an unscheduled game of chase with the neighbor's cat. 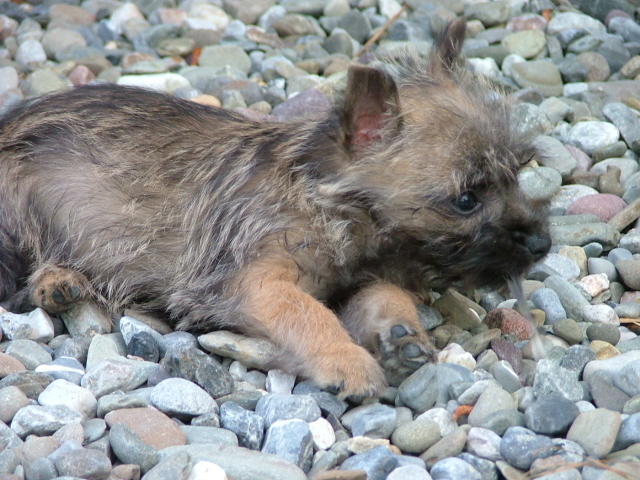 Cairn Terriers have a strong inclination to chase small animals. In fact, even if you train them, they rarely ever get over their prey drive. 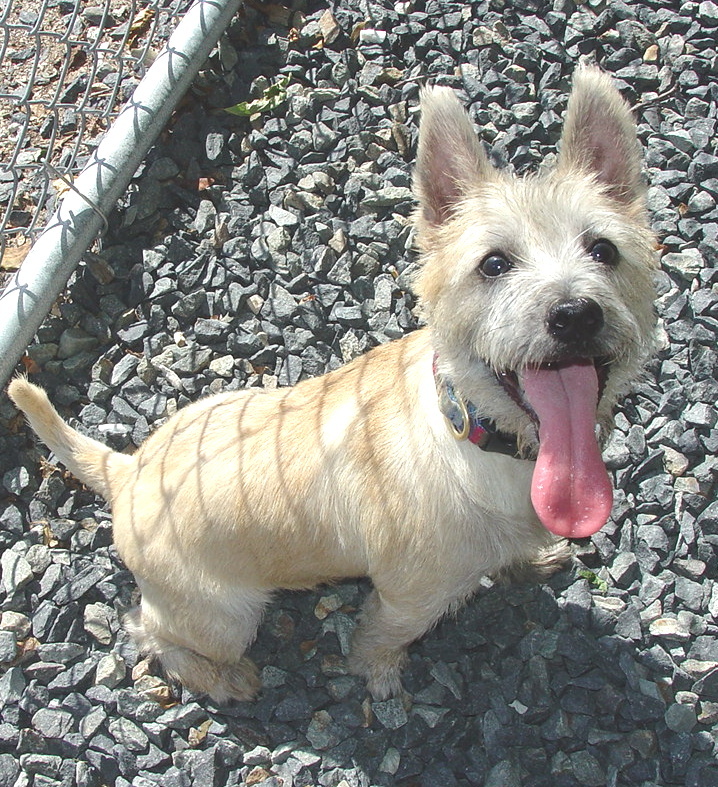 Leashes are a critical accessory for the super sporty Cairn Terrier. 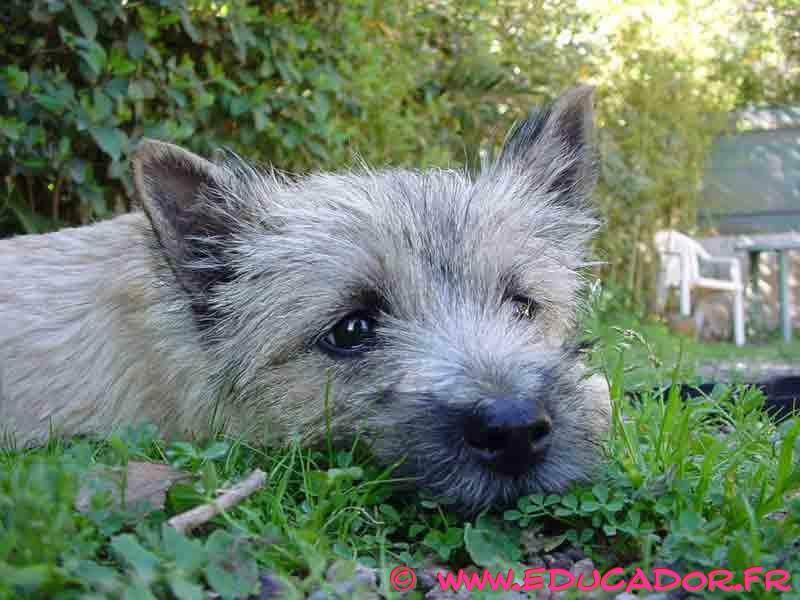 Cairn Terriers get along great with kids. 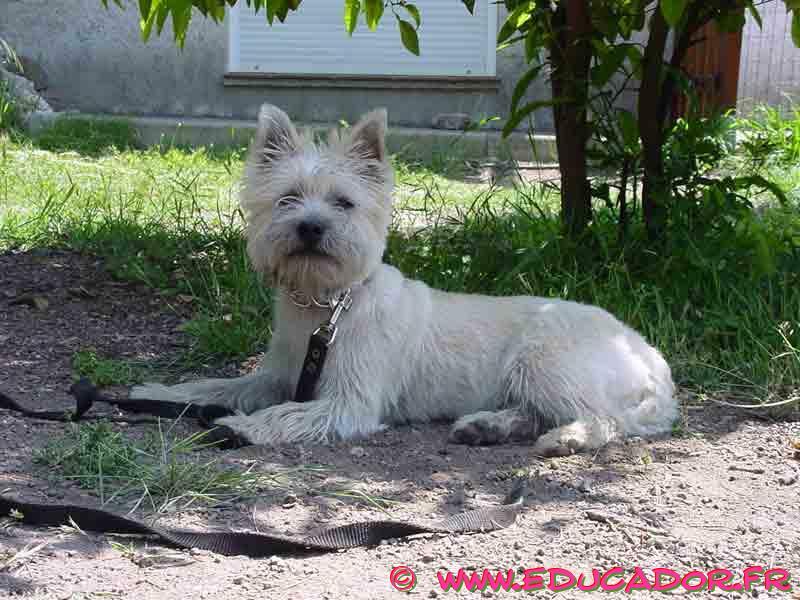 Because they hold onto impressive vitality well into adulthood, a Cairn Terrier can grow up right alongside children without missing a beat, providing playtime well into the childs teens. 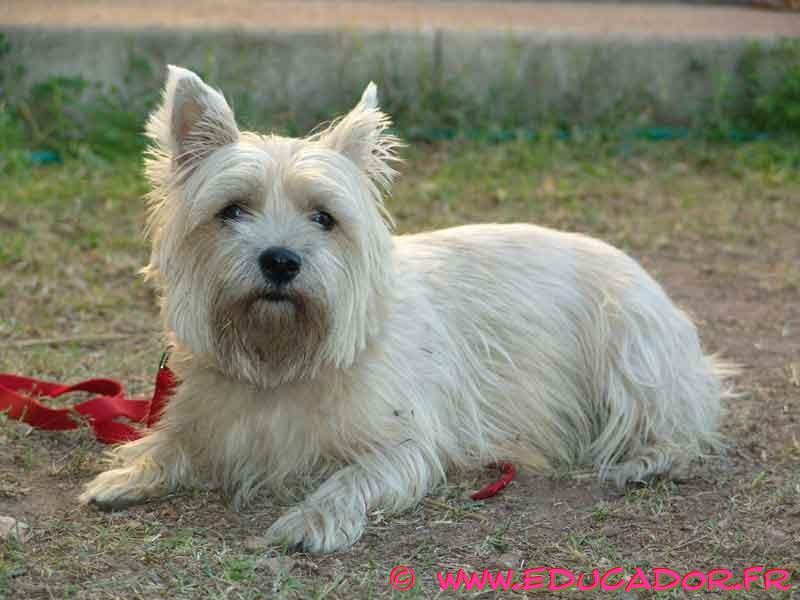 They are quite smart and can learn a lot of tricks, but be ready to establish yourself as The Boss. If this dog senses a vacant position, they will give themselves a promotion, and that makes training really tough. Even though they are scrappy, theyre quite sensitive, so harsh or intense discipline doesnt work for them. 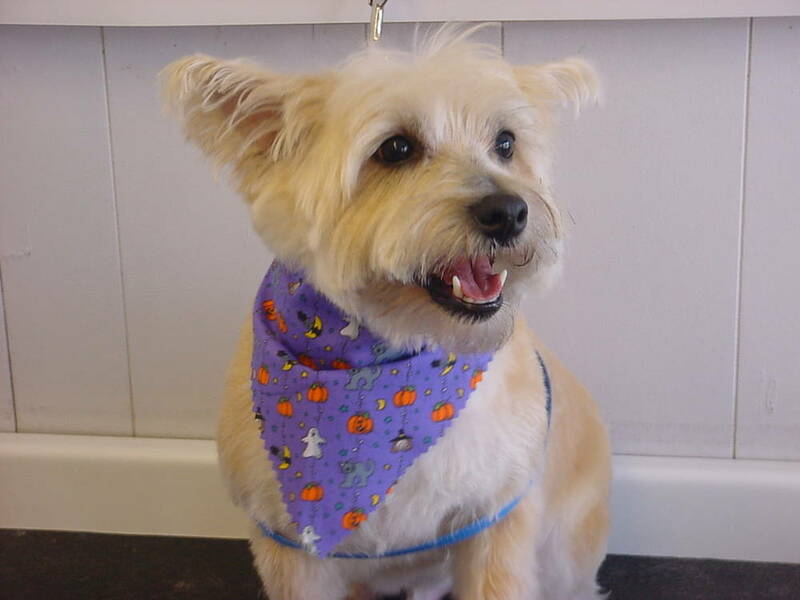 Cairn Terriers are happy to curl up in your lap, but they are pretty independent dogs, so dont be surprised if they start to squirm after a while and bounce off in search of a new project. 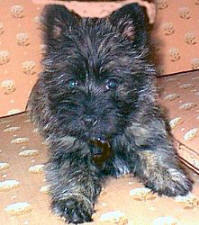 Cairn Terriers are famous for begging. Its an art form to them some might say a higher calling. As a result, they tend to pack on weight quickly. They need lots of exercise a surprising amount, given their small size and because they hold onto their energy for so long, dont expect them to slow down anytime soon. 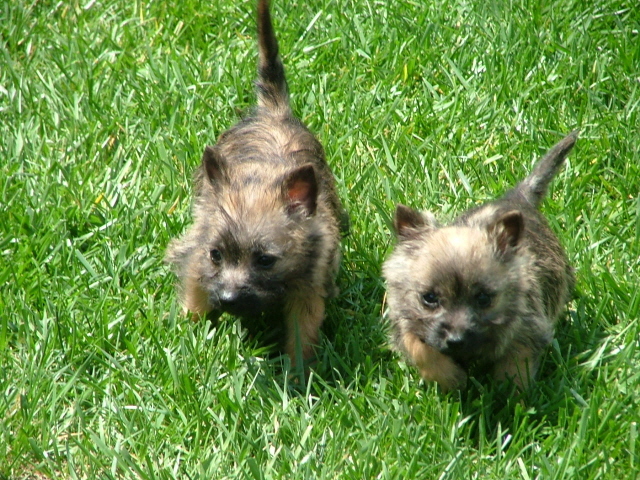 Daily brisk walks are the minimum bar for these wiggly little busy-bodies. 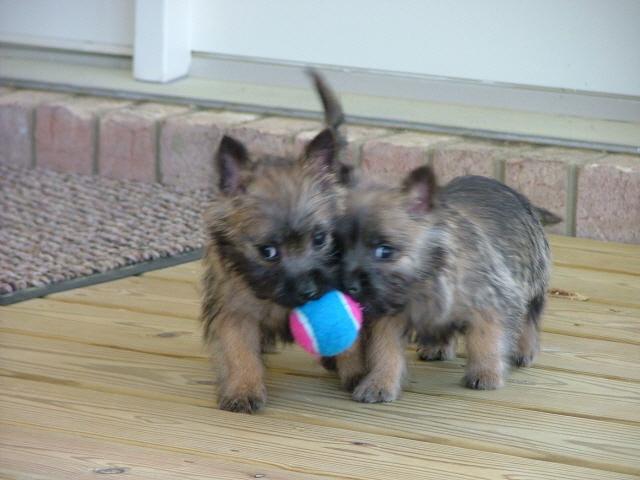 Their independent streak means you can also cut them loose with a ball to chase in a fenced-in yard, and they are happy to burn off some extra wiggles that way. 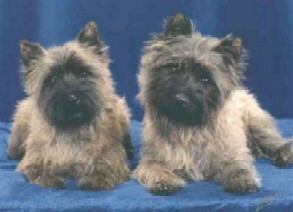 Their shaggy, weather-resistant coat needs an hour of grooming per week and the occasional bath. Despite their long-haired look, they dont shed much, making house cleanup easier. A stone cairn is a pile of stones used to mark lots of different stuff, from borders to trails and even graves. Back in 16th century Scotland, those stone cairns were important for different reasons, and unfortunately, they were often infested with pests. Especially rats. 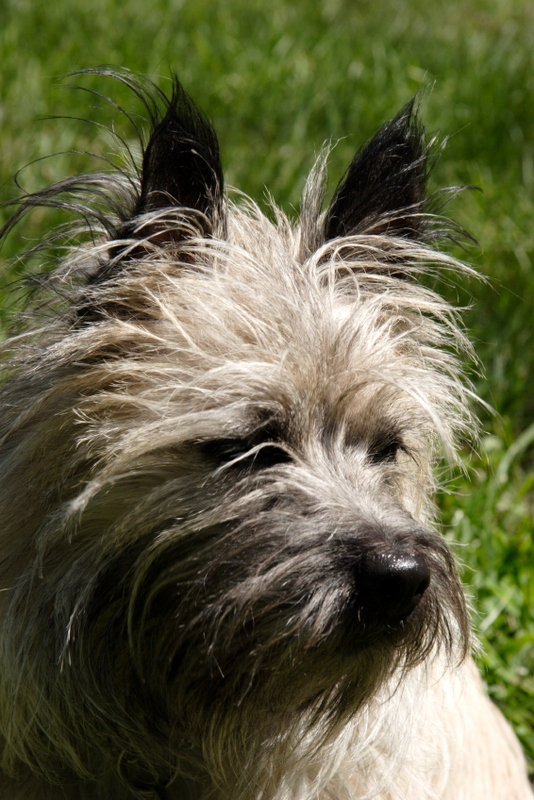 Recognized by the AKC in 1913, this smart, personable dog starred in several movies. 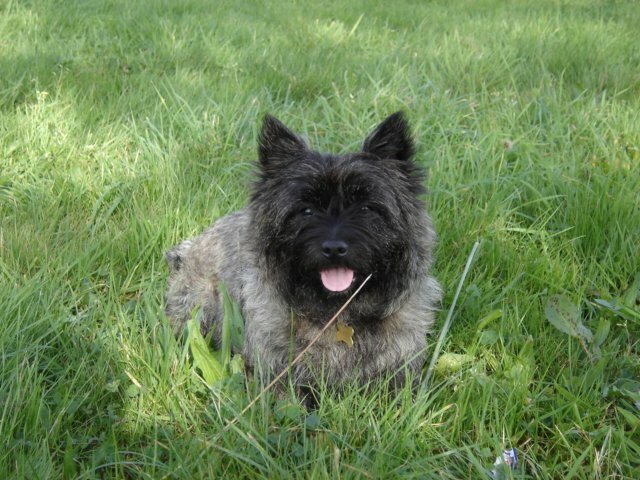 In fact, one of the most famous movie dogs ever was a Cairn Terrier: Toto, the faithful companion to Dorothy in The Wizard of Oz. 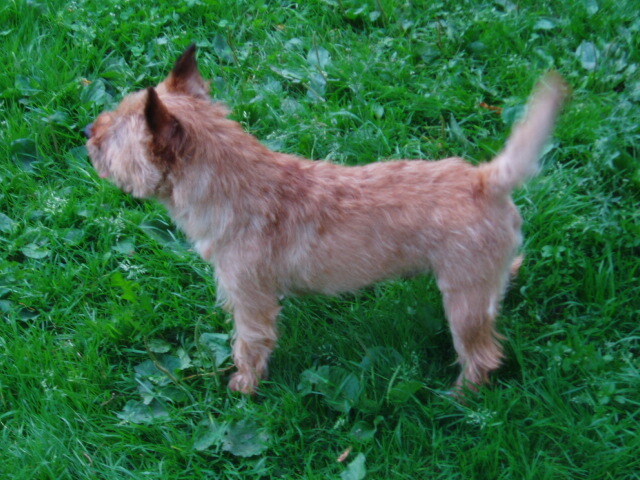 This breed has also starred in Bright Eyes in 1934 and as recently as Lost and Found in 1999. Wow! Thats quite the acting career!